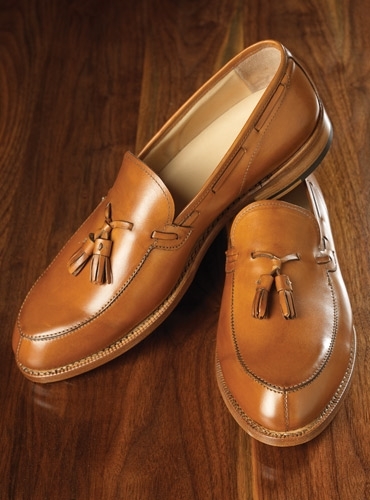 From Nettleton Shoes, the "Greensboro" tassel loafer in whiskey calfskin. 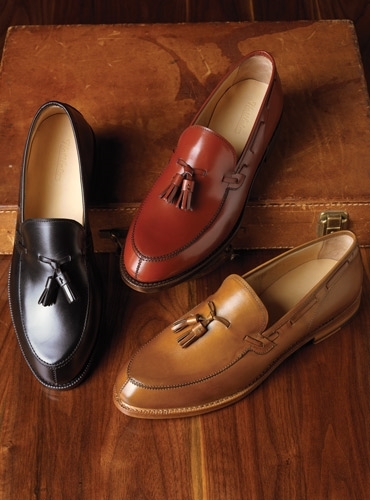 This iconic loafer has been in Nettleton's collection since the 1960's. 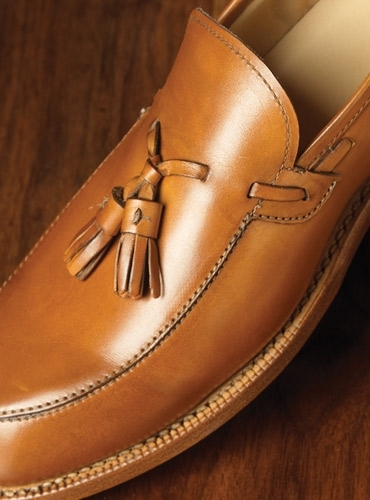 Features split toe, through tassel, Goodyear construction, leather soles, buttery soft lining. Built on the Nassau last. 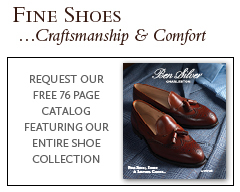 Available in sizes 8-13, D width. Also available in brick, NGL-B, and black, NGL-C.